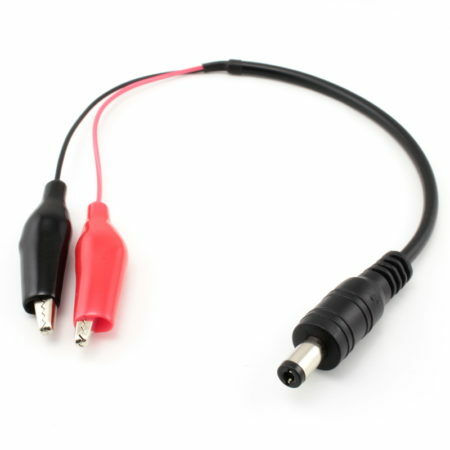 DC power cable with alligator clips and a 2.1mm barrel-type male plug. 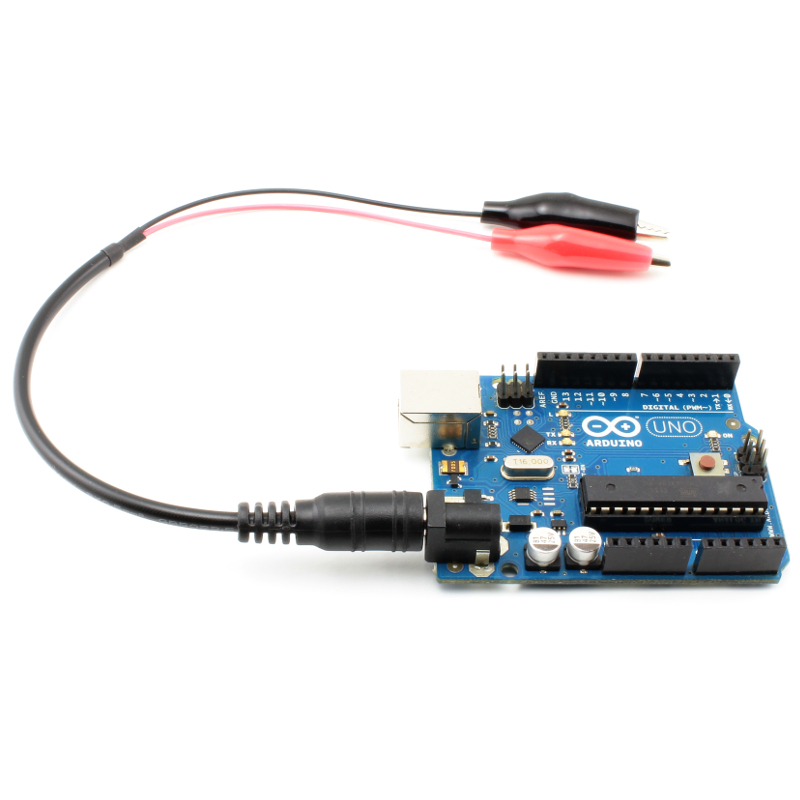 Connect your Arduino and development boards to a professional power supply or batteries with this cable. On one end, two alligator clips, and in the other end, a 2.1mm barrel-type male plug. 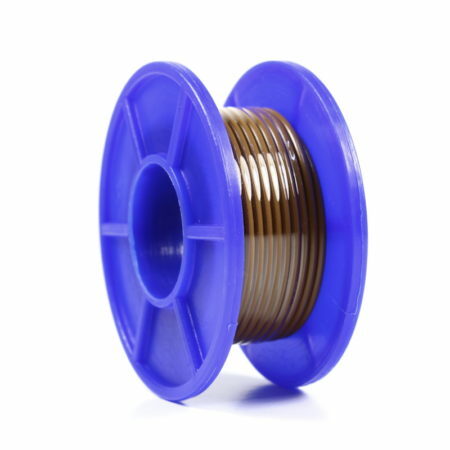 The plug is made of molded plastic so it won’t break apart as with simply soldered ones. 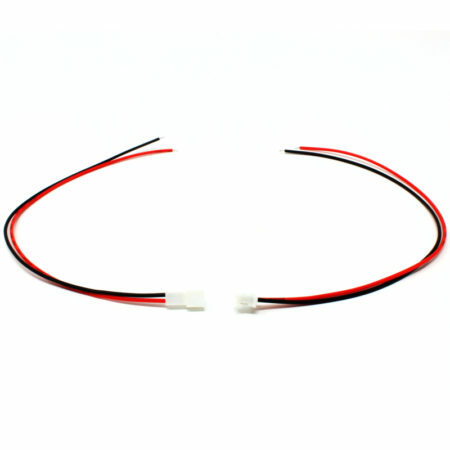 The red alligator clip is connected to the central contact of the plug. 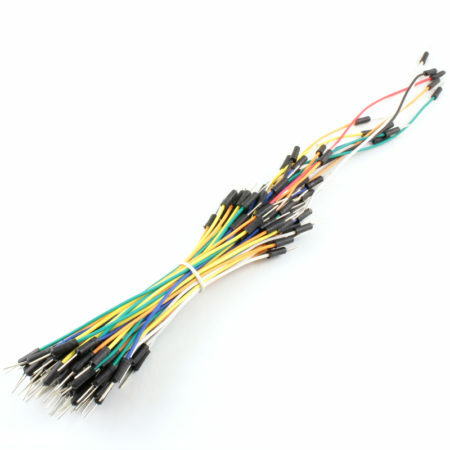 Length: 30cm including the alligator clips and the plug. Max. rating: 3A at 24V.